Rite Options was formed as a result of growing demand for personal and professional services for an egg donation and surrogacy services. We are firmly dedicated to our work and consider it our passion. We have served individuals and families nationwide and internationally. The key to our success is the fact that we treat everyone like we wanted to be treated ourselves. Our approach to everything that we do is very professional and yet very personal. We apply our knowledge and professionalism to everybody we work with. We work with single men, women, couples, families, gay and heterosexuals from all over the world. We are a full-service agency, from finding a perfect match to coordinating all medical, legal, and psychological and travel arrangements. We are available for you 24 hours a day, 7 days a week. You can count on our professionalism, intelligence, education and a reputation we’ve earned in the family building community of being very honest, straight forward and compassionate. We work with best fertility clinics in the US and with the most respected attorneys in the field of 3rd party reproduction. 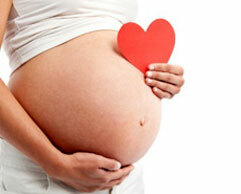 We will help in choosing the right fertility clinic and coordinate all aspects of egg donation and surrogacy process. We adhere to the standards and guidelines set by the American Society of Reproductive medicine (ASRM) and are licensed in NY State to provide Egg Donation Services. Whether you are an egg donor, a surrogate or an intended parent, you have come to the right place. We will be honored if you choose to work with us in achieving your goal. Please call us for a free detailed consultation with our professional coordinator. Women who want to experience the joys of pregnancy may not consider surrogacy and adoption suitable options. They therefore attempt in vitro fertilization. Unlike donation and surrogacy, egg donation enables women to experience all the physical and emotional changes associated with pregnancy. The decision to become a surrogate mother is one that only a generous and compassionate person can make. There are several physical, legal and emotional aspects involved, so everything must be taken into account to ensure this is the best decision for you. Spending time with your spouse requires next-to-no effort. It is as easy as dropping everything and going out. Now that your entire life revolves around your new addition, you will have to put in more effort to put time aside for each other.